Our all-time favorite now available in a breezy tank top. Whether you're walking the dog or scaling a mountain, this tank will hug your bod and soothe those sweaty glands with its triple threat softness. DISCLAIMER: Because we are a small operation, we unfortunately CANNOT accommodate exchanges. 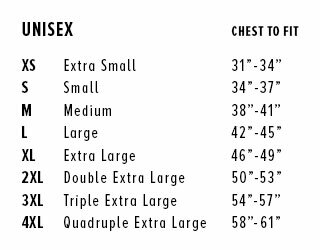 We want everyone to be happy and comfortable in their Everyday gear, so please double-check the sizing chart above to ensure that the size you’re ordering will fit correctly.